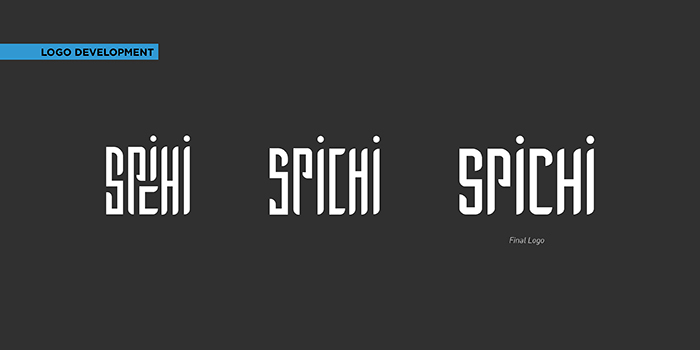 Presenting a pop of flavour, with Spichi. A packaged condiment & concentrates brand, with a variety of sauces to spice up your kitchen. The communication wireframe had to be mapped out right from the beginning of the project. We were told to brand it like a mass market product, yet polished with clean design sensibility. We began by coming up with a product-specific name that directly suggests the ethos of the product. 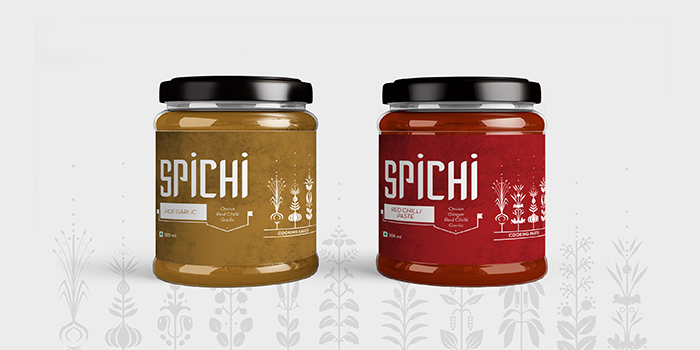 The name Spichi is short for “Spicy Chinese” – something which we feel has been embodied into the base and condiment dipping sauces. They are developed to bring the real essence of chinese flavors; whether it is to a hearty cooked meal at home or a gourmet dish at a pan Asian restaurant. Unlike other products currently available in the market these base cooking pastes and condiment sauces provide any Chef assistance in reducing prep time as they are made using only fresh products. 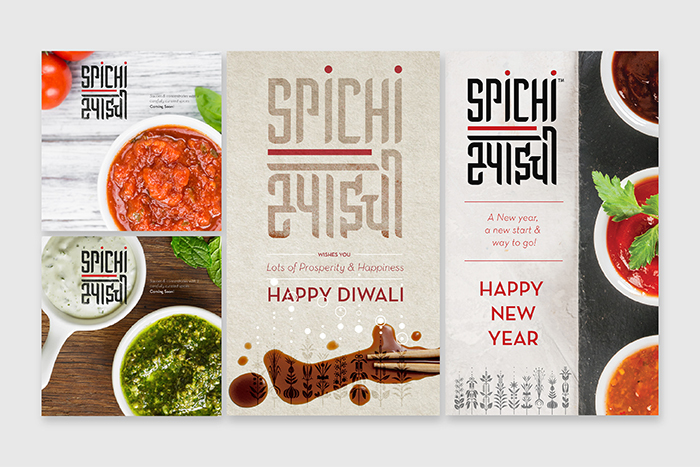 Spichi Sauces and Pastes are being used by many marquee clients in the B2B Horeca space Nationwide and are used in a number of Hotels, Banquets, Caterers, QSR’s and fine dine restaurants. 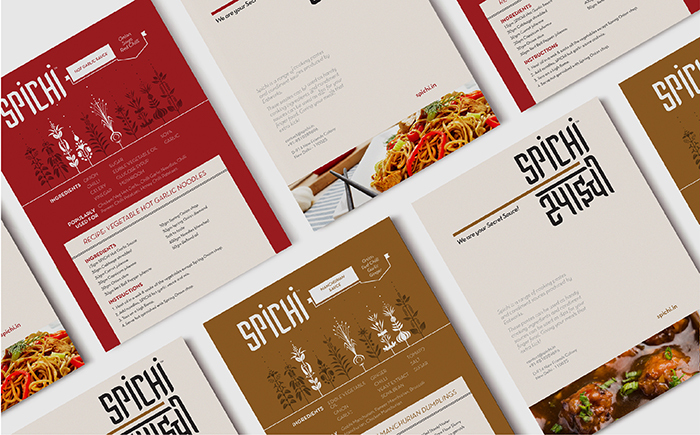 Spichi is made by Chefs, for Chefs! We added the tagline, “your secret sauces”, to highlight this fact. The communication was designed keeping the mass market feel of the product in mind. 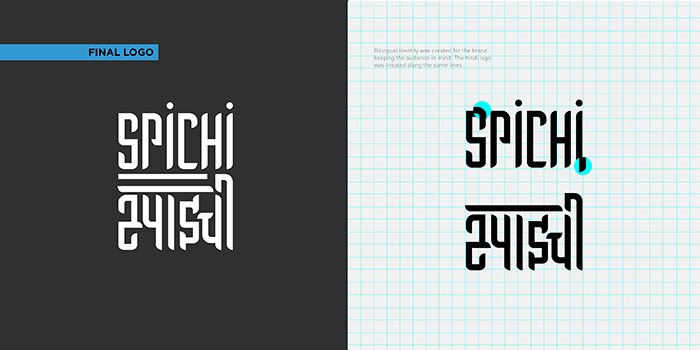 The logotype is stacked in a grid arrangement to resemble oriental script characters in a contemporary fashion. 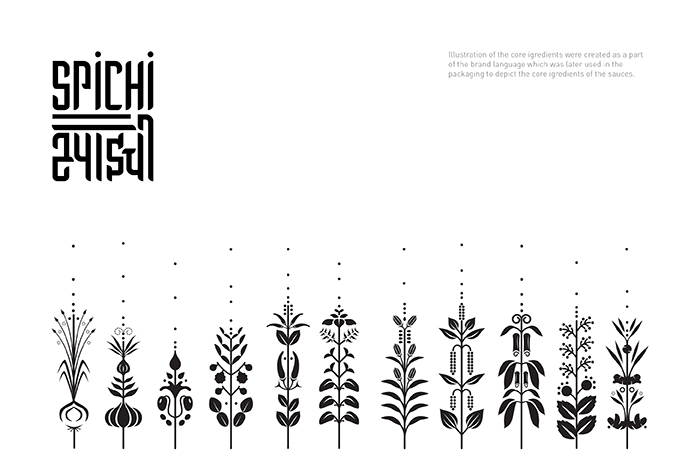 Accompanied by a Devanagari script version alongside, that would not just make the buyer feel at home, but also place the product in a different pedestal. 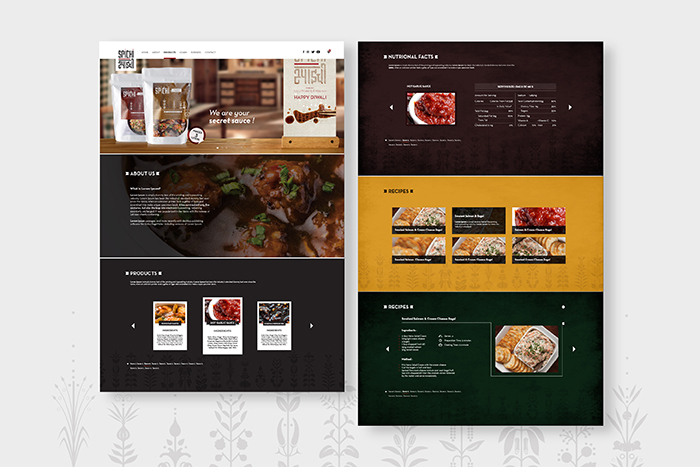 A product specific brand language has been created – using different herbs/ingredients as elements of the design language. 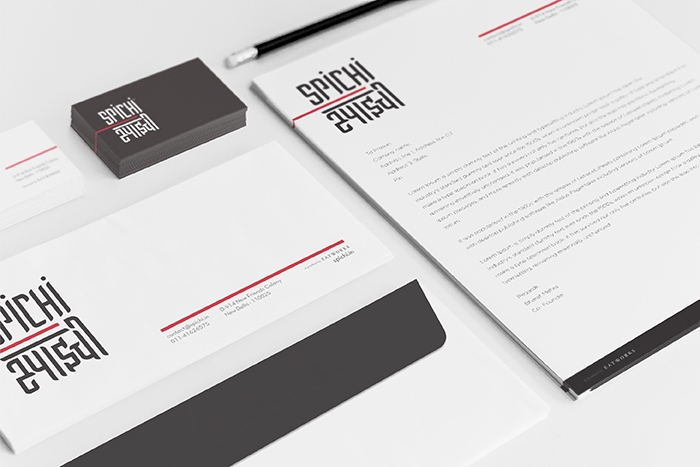 Together the design elements effectively communicate an overall appeal of the brand. With the variety of flavors offered by the product, our visual language extended to play around within each of these – using different units for each flavor, along with a variety of colours to give each of them a unique identity. 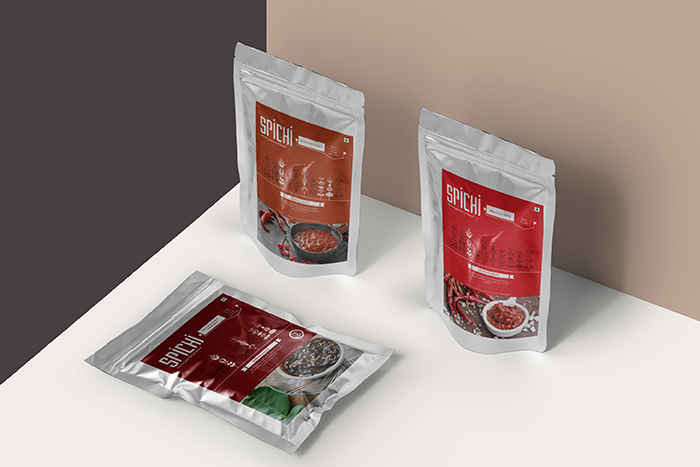 We worked closely with the production team in order to build the appearance, shape and structure of the sachets. 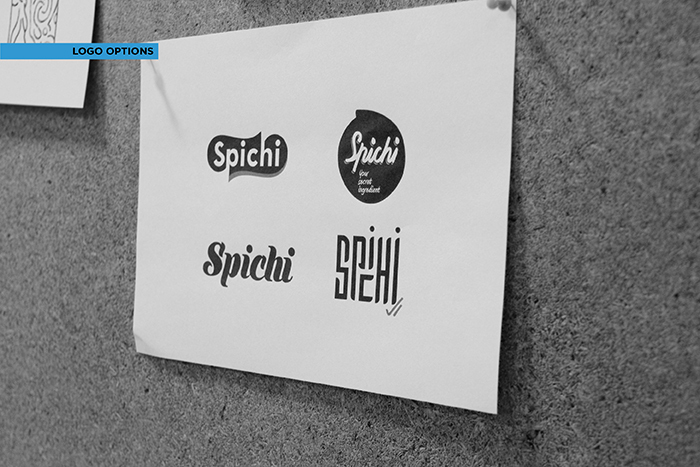 Spichi offers it’s B2B in the market since Dec 2017, with the B2C yet to hit the retail market. Spice up your meal with this secret ingredient, it packs quite a ‘spichi’ punch!